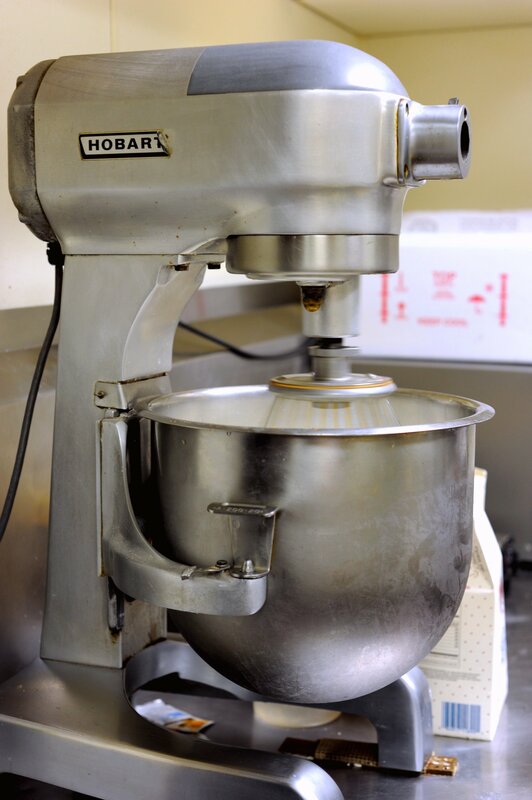 In 1937, in a busy restaurant kitchen in Whitman, Massachusetts, a harried chef by the name of Ruth Wakefield rushed to make a batch of her butterscotch nut cookies to serve with ice cream. But there was a problem. The vibrations from the industrial mixer Wakefield used, caused enough of a ruckus to knock loose a bar of semi-sweet chocolate stored on the shelf above, which, becoming splintered by the mixer, contaminated the dough with chips of the chocolate variety. Wakefield nearly threw the dough out, disgusted at the wasteful accident, and determined that the reputation of the Toll House restaurant was important enough to just start the batch over. Fortunately for Grandmas and glasses of milk everywhere, another cook convinced her to go ahead and bake the batch. And the results just seemed right. Of course that’s probably not a true story. Another version suggests that Wakefield was making chocolate cookies, but had run out of baker’s chocolate. She substituted chunks of semi-sweet chocolate (allegedly a sample bar provided by Nestlé) thinking it would melt through the dough. And the world rejoiced that it didn’t. If I’m perfectly honest (and I never lie about cookies), I doubt the validity of this tale, too. Because Wakefield was an educated lady and not a hack in the kitchen. I’ve seen enough Food Network shows to know that even highly trained chefs under extreme conditions (like using only a pocket knife and a candle to make a five course gourmet meal made entirely of beef jerky, in fifteen minutes) occasionally make silly mistakes. Still, I’m inclined to give Wakefield the benefit of the doubt on this one. I suspect that she understood the properties of chocolate and very intentionally invented the single ever greatest leap forward in the field of cookie science (and trust me, it is a science). For her contribution to the field, she received a lifetime supply of free chocolate (and consulting fees) from Nestlé for the rights to print her recipe on the backs of their bright yellow chocolate chip packages, where it’s been ever since. Even today, for a lot of us this recipe (perhaps tweaked a little over the years, but still largely the same) on the Nestlé’s package is our go-to for chocolate chip cookies. But it’s not without its rivals. Actually, there are some who claim it wasn’t even the first, that in fact the 1934 Hershey’s cookbook contained a similar cookie recipe. 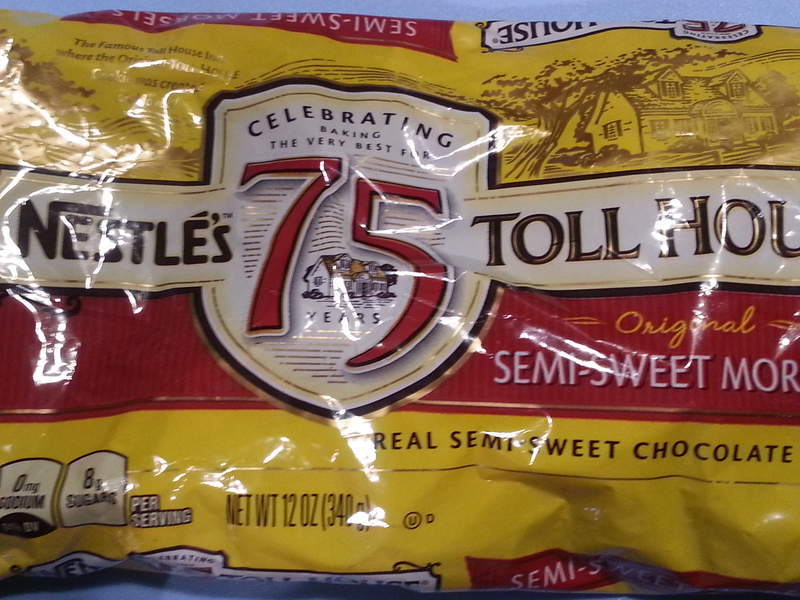 This little yellow package always makes me hungry for cookies. And there are many who would argue that the Nestlé Toll House recipe is kind of meh when compared to some of the manufactured cookies on the market today, the most exciting of which, according to my quick sampling of those who have enough time on their hands to write about great chocolate chip cookies on the Internet, is the Dutch company Merba’s 37% chocolate chip cookie. There’s even one blogger who set out to test whether or not Merba cookies really contained 37% chocolate simply because (and I’m guessing here) he has too much time on his hands. He concluded that given a little wiggle room for error in his experimental technique, it did. Why 37% you may ask? It does seem pretty random. Another mathematics blog attempted to answer that. In a complicated explanation of the behavior of randomly scattered dots within a circle and the intricacies of cookie manufacturing, he proved without question that he has even more time on his hands than the first guy. Don’t get me wrong. I am super impressed by the dedication of both men to the field of cookie science. Personally, I think the Merba cookie has 37% chocolate because it seems like a good number and it looks good on a package. I base this on the conclusions of some other people with too much time on their hands, who tell us that if asked to pick a random number between 1 and 100, most of us will choose either 37 or 73. Since a cookie with 73% chocolate would pretty much be, well, a chocolate cookie, Merba wisely chose 37% for their delicious marketing gimmick. Because it just seemed right. 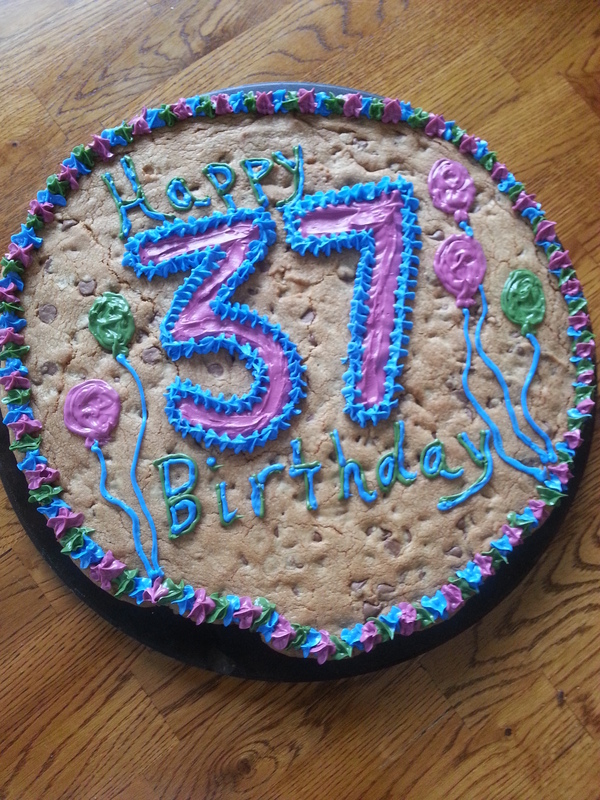 And that’s also why I chose to celebrate my 37th birthday this week with a giant chocolate chip cookie, baked from my altered version of Ruth Wakefield’s famous recipe with, if I’m honest, quite likely more than 37% chocolate. Because it just seemed right. Way more than 37% delicious. Many happy returns of the day! And, as always, your blog once again sets a very high (chocolate) bar. Your posts are always so entertaining. Hope it was a great birthday!